Sean Connery was born on 25th August 1930 in Fountainbridge. His mother was a cleaning woman and his father was a factory worker and lorry driver. His father name is Joseph Connery and mother name is Euphemia McBain. He was raised along with his younger brother Neil. Likewise, he attended Tollcross Elementary School. Sean holds British and Scottish nationality and belongs to Scottish and Irish ethnicity. He has 6 feet 2 inches height and has 86 kg weight. He has grey hair colour and has dark brown eye colour. His zodiac sign is Virgo. Sean Connery began his career at the age of 13. Later, he got a job as a milkman in Edinburgh. Then, he joined the Royal Navy after three years., He was discharged after some time on medical grounds. He also worked as a truck driver, laborer, coffin polisher, and lifeguard. In 1951, he helped out backstage at the King’s Theatre. Sean appeared in the movie “Let’s Make Up” but was uncredited. In 1956, Connery appeared in “Dixon of Dock Green”, ‘The Condemned’ and “Sailor of Fortune.” Then, he has appeared in several other movies and television series. At present, he has more than 90 credits as an actor. Some other movies and television series that Connery has appeared in are “Freedom: A History of Us”, “The League of Extraordinary Gentlemen”, “The Russia House”, “The Hunt for Red October”, “Family Business”, “Indiana Jones and the Last Crusade”, “The Offence”, “Diamonds Are Forever”, “The Red Tent”, “The Magical World of Disney”, “You Only Live Twice” and so on. Likewise, he has confirmed his retirement from acting on 8th June 2006. He is a member of the Scottish National Party. On 5 July 2000, he was knighted by Elizabeth II at an investiture ceremony at Holyrood Palace in Edinburgh. Moreover, Sean has won the Oscar in 1099 for his performance in “The Untouchables.” Additionally, he has also won the Golden Globe Award two times. In addition, he also received the Cecil B. DeMille Award in 1996. Furthermore, Sean has won the BAFTA Film Award, Lifetime Achievement Award (Academy of Science Fiction, Fantasy & Horror Films), American Cinematheque Award, Blockbuster Entertainment Award, Christopher Award, and Jupiter Award among others. The 88 years old, Sean Connery is a married man. He is married to Micheline Roquebrune on 6th May 1975. Previously, he dated Sopel during the mid-1950s. Later, he was in a relationship with the daughter of documentary filmmaker and feminist Jill Craigie, Julie Hamilton. On 6th December 1962, he married the actress, Diane Cilento. Together the couple have a son together, actor Jason Connery. The pair separated on 6 September 1973. 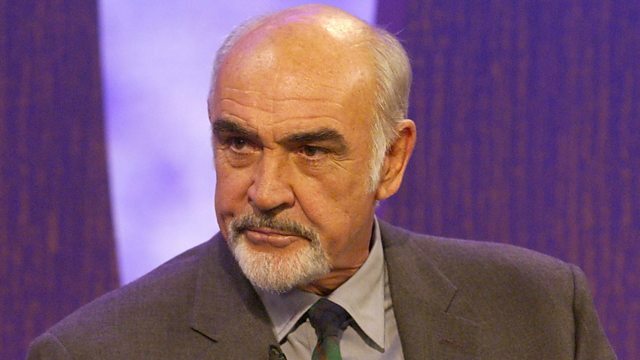 The retired Scottish actor and producer, Sean Connery has earned the decent income from his career. He has a net worth of $140 million USD. Sean is not active over the social media. He does not have his official Twitter account. Additionally, he is not active on Instagram and Facebook as well.